Suicides in Ireland are at a new record level with the country now the fourth highest in Europe for deaths of young men. According to figures released by the HSE Office for Suicide Prevention, recorded rates for males are highest in the 15 to 19 age group. It has also been revealed that more than 11,000 people were treated for self-harming last year. 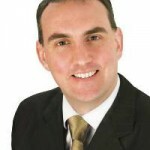 However, despite growing public alarm the government had done little to tackle the crisis, says Sligo-Leitrim senator, Marc Mac Sharry. Commenting on the latest figures, Senator MacSharry said deaths from suicide every year now equalled the population of an entire village. Fianna Fail had been coming up with what, he said were “tangible policies to address the situation.